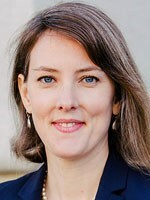 Katie Spielman practices at The DL Law Group, a San-Francisco firm specializing in insurance bad faith and ERISA litigation. The firm litigates all aspects of insurance law, but primarily in the areas of disability, health care and long-term- care insurance, and on both individual claims and class actions. Katie regularly litigates cases against Unum Group and its many subsidiaries.